How are you all doing? Hope you had an awesome week and are enjoying reading my articles. 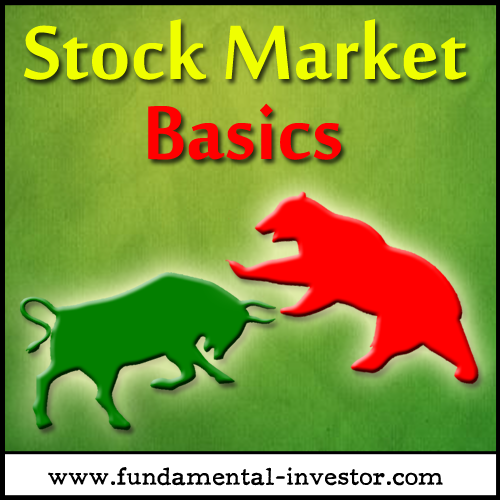 I am trying to slowly and steadily take you through the world of Investing in the Stock Market. If you have any questions or clarifications, ensure that you send me an email on investorfundamental@gmail.com so that I can personally respond. Now, let's try to understand some really basic stuff in a simple language. I hope this analogy helps beginners to understand some nice basic terms. Let's say that you have started a business with a capital of Rs 10000. Your business has been doing well and you had a profit of Rs 10000 in the first year (after all payments, liabilities etc). In the second year, you decide to put all of the profit (Rs. 10000) to your working capital and now your capital becomes Rs 20000. In this way, year after year, your business grows and in due time, let's say that your working capital has become Rs 100000 (1 lakh). Now, you have some expansion plans. Also, you have earned a great name in the industry. Lots of people have seen that your business, your management, your plans and visions are good. For expansion (or maybe for settling loans as well), you want to raise some money. You make a nice document which states why you wish to raise further capital. This document is circulated to your close circles which gives them a good feel of your business. Let's say that you need Rs 2 Lakh totally as capital for your business. You already have 1 Lakh with you. How much do you need? You need 1 Lakh more. Since you have a name in the industry, you decide to get more stake holders in your own business. You want to give others a share of your business. Now, if you want to allow others to invest in your business, you need to decide the number of shares for the capital of Rs 2 Lakh. Rs 2 Lakh / FV (Rs 10) = 20000 shares. Now, you as an owner already have Rs 1 Lakh with you as capital. So you will automatically have 10000 shares (50% stake) in your business. The rest 10000 shares are given to others to invest. So Face Value only decides the number of shares the business has. Also, Face Value is with respect to Capital and nothing else. Now, after getting listed in an exchange, you need to decide the actual worth of your business. Now, apart from Capital, we need to get the NET WORTH of the company. The net worth of your business is the Total assets - Total liabilities. If your total assets (including reserves, trading gains, inventory worth etc.) is Rs 5 Lakh and your liabilities is Rs 1 Lakh, your net worth is Rs 4 Lakh. Rs 4 Lakh / 20000 shares = Rs 20. So Book value is the value of your company as per the books, balance sheets etc. This deals with the net worth of the company based on the number of shares. Ok. You got listed and loads of people are ready to buy the 10000 shares. What is the MARKET VALUE of the share? Market value of the share can be either less than, greater than or equal to the Book value of the share. Market value purely shows how confident the investors are in the business, moving forward. If the market believes that the company has got amazing future earnings potential, the Market value will be much much higher than the Book Value. However, if the market feels that there is not enough future potential in the business, the Market Price can be lower or equal to the Book Value. Market value is the price of the share in the market. It is not only based on the Book Value, but also on the Future potential of the business, its sector, market sentiments, punters, operators, insiders, analysts, news makers, news and so many many factors.. So Market Price need not necessarily be the Value of the Share :-) What this means is that due to sentiments and the principle of demand and supple, the Market Price might be way above or below the actual Value of the Share. This gives investors Entry and Exit points if they know how to Value a Share. Don't worry. We will slowly learn all these things in the course of time. I hope you can understand some basic terminologies now. Please take this reading as a basic understanding of the terms. I have just touched the topic with a simple language. The book and market value calculation in itself, needs lots of parameters to be taken into consideration and can be read on your own interest. We will slowly get into the flow :-) Until then..
Read the other interesting Articles by clicking on below links and share with your friends. Why dont you start a section called "STOCK PICK OF THE DAY"
Dear friend. There are so many blogs picking stocks. I want to enable people to understand the basics so that they can choose their own companies.. Thats my intent..
At the age of 64 , feeling back to class room, but definitely wonderful articled & experiment . Still I am student of Cap market. So nice to get your comment sirji... We are all students in ever dynamic Stock Market... Good day sir..
Glad that we are all learning sir. Thanks..
Good Article. Quiet helpful for a new investor like me. Thank You. Happy that you found this helpful sir.. Thanks a lot for your kind words.. Learning is key.. Sharing is key !!! Sir I am investing in equity for almost 4-5 years but never had fundamental knowledge for stock selecting, thanks a lot for such articles it will help us all to learn , earn & grow. Dear Manish ji.. Thanks a lot for your kind words.. Hope you can spread this awareness as well so that more get benefited with our sharing of experiences and thoughts.. Good day !!! Is it possible to share a checklist or mechanism to identify a list of stocks(10-12) that I can keep investing for long-term(8-10 years). Any reference materials, formulas or blogs or books to identify such stocks would be a great help. I am ready to spend time is studying and analyzing those. Please help.. Thanks for the post. Need to know get more knowledge and skill about the Share Market Training in Mumbai for the strong and better future.